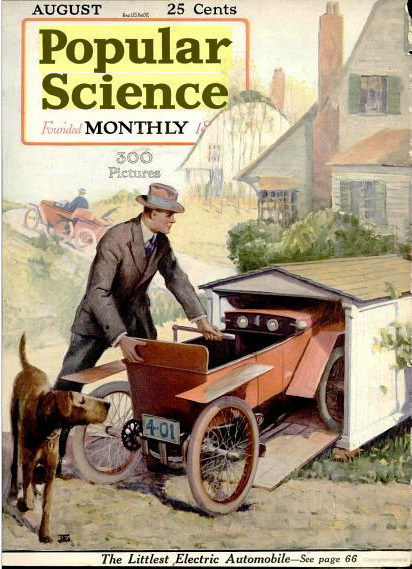 Enjoy a 90-year-old look at an article titled “The Lincoln Highway—Our Wonder Road” that appeared in the August 1920 issue of Popular Science by clicking HERE. The Indiana Lincoln Highway Association will hold a Holiday Gathering and House Tour at the Kimmell House Bed & Breakfast on December 4, 2010, starting at 2pm. The event is open to the public (pre-register by Wednesday, December 1) for only $16, which includes entrée, beverage, tax, and gratuity. The historic property offers casual dining in addition to overnight accommodations. 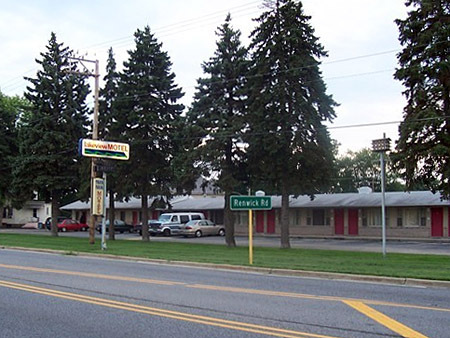 It is one of several bed and breakfasts along the Lincoln Highway in Indiana. Owners Dean and Deb Stoops will provide a personal tour of the property to attendees. 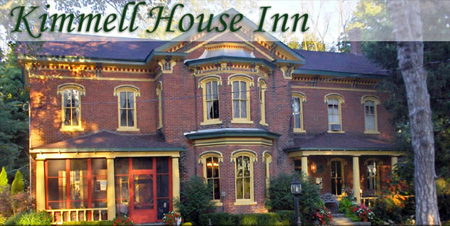 For more information, call (574) 210-6278or visit www.kimmellhouseinn.com/. 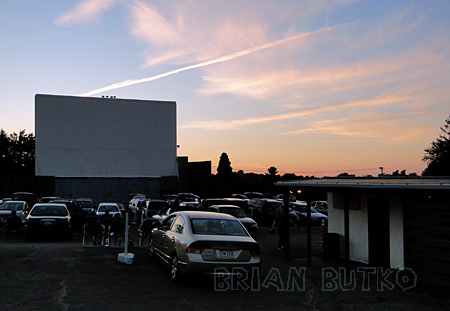 For years, reports have floated that the Hi-Way Drive-In Theater in Latrobe, Pennsylvania, was to close and be replaced by development. 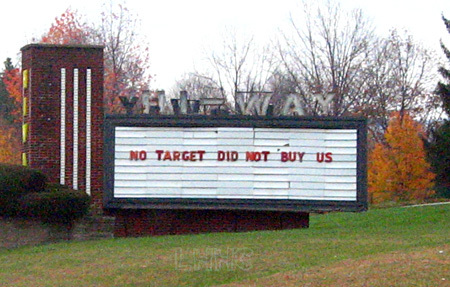 Most recently, Target has been the retailer of choice, but the drive-in along the Lincoln Highway has made clear it’s stance: posted on the marquee is “No Target did not buy us.” Top photo by Kristin Poerschke, bottom by me (Brian) on a recent visit. 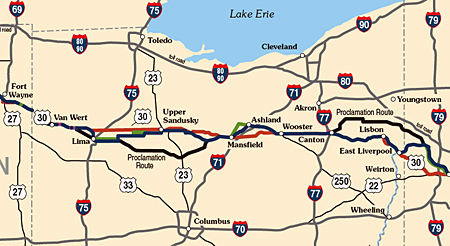 Could US 30 in Ohio become a toll road? A story in the East Liverpool, Ohio, Review relates a plan to pay for making U.S. Route 30 in eastern Ohio by making it a toll road. Route 30 is a four-lane road from Indiana to East Canton, where it remains a two-lane road the final 36 miles in Ohio through Columbiana County, except for a portion which runs with state Route 11 from West Point to East Liverpool. 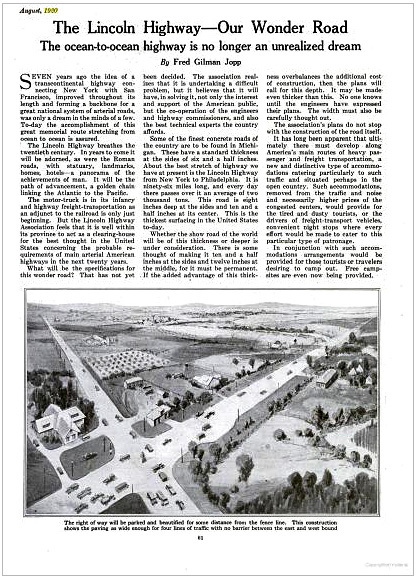 For more than 50 years, various people have tried to get the final segment of Route 30 in Ohio completed, to no avail. The latest attempt involves dividing the project into three sections and doing them in phases as the money comes available. The sections are East Canton to Minerva, Minerva to Hanoverton, and Hanoverton to state Route 11 at West Point. The committee is pursuing the Hanoverton-West Point section first, a distance of 12 miles, which would cost an estimated $118 million to design, acquire the property rights of way and construct, according to Deputy County Engineer Robert Durbin…. Durbin said they believe charging a toll of $1.25 for cars and $2.50 for trucks to travel the 12-mile segment would generate enough revenue to pay for the new road in 40 years based on the increased vehicle traffic they expect to result. 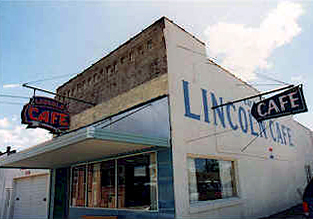 Van & Bev Becker send good news from Iowa that the Lincoln Cafe in Belle Plaine is about to reopen. The landmark eatery closed a year and a ahlf ago after the owner was murdered as part of a family dispute. Click the image below to watch a video report from KGAN-TV, Cedar Rapids. Check out my previous entries such as this and this. 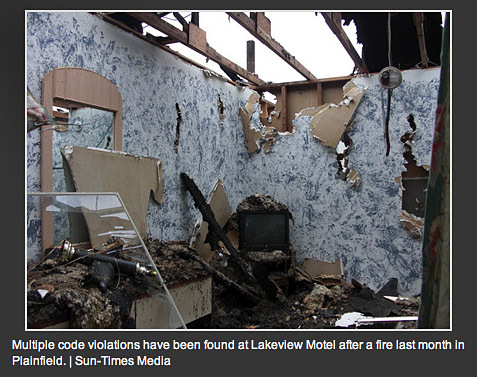 Above, the remodeled cafe, and below, before its closure.